It’s nearly time for the annual Williamstown Literary Festival. This year I’ll be busy on two fronts. 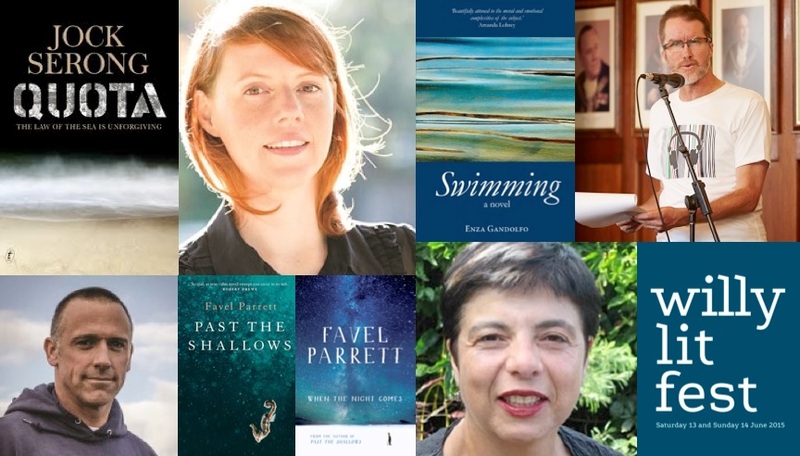 On Friday evening 12 June I’m chairing Swimming In Ink at Seaworks, featuring novelists Jock Serong, Favel Parrett and Enza Gandolfo. If you love the sea and love reading about the sea, you’ll have a very enoyable evening. Lots more details at Willy Lit Fest. Early bird tickets available until midnight Sunday 24 May. Hope to see you there. On Saturday evening 13 June I’m hosting Stereo Stories Live at the Williamstown Town Hall. If you love stories and live music you’ll have a delightful night. Thanks Vin, tickets already purchased…looking forward to your events.